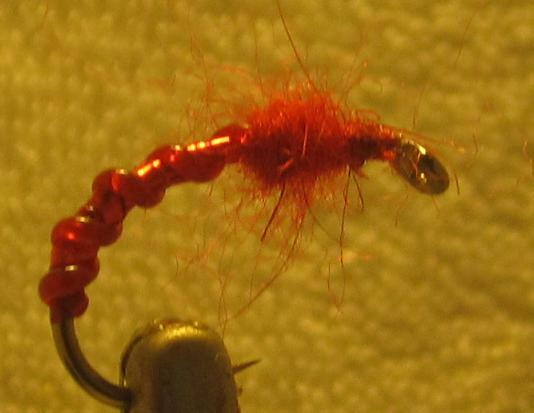 FOSAF NEWS - April fly of the month: Bloodworm larva by South Coast Fly Anglers. 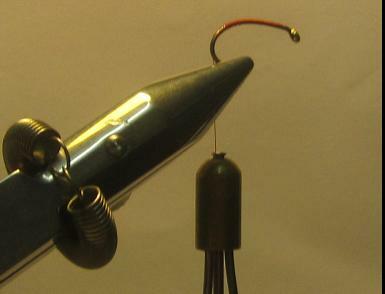 Hook: #8 to #10 sedge or grub hook . Rib: Oval or round tinsel. 2. Secure the rib and wrap around the bend. 3. 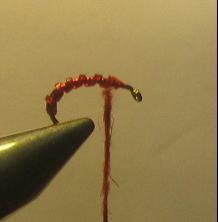 Return the thread to the thorax area and tie in the flat tinsel. 4. 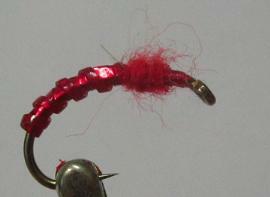 Wrap the flat tinsel to the bend of the hook and return to the thorax area. 5. Secure the tinsel and trim the excess. 7. Secure the rib and dub the thread. 8. Form the thorax with the dubbed thread. Remove the excess dubbing, form a neat head with thread, whip finish and secure with head cement. 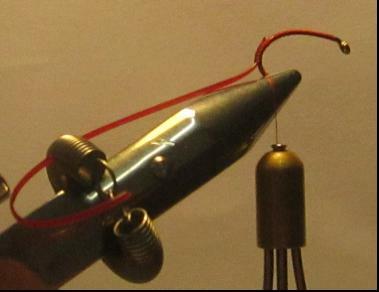 This a popular stillwater fly which is often fished with a floating line using an indicator like the DDD with the bloodworm on the point, preferably when there is a good breeze to provide some movement. Tom Sutcliffe adds that the bloodworm can be fished alone on a greased leader, but on a dead drift. 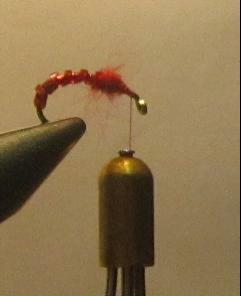 Some anglers add a tiny bit of movement to the fly in the form of a very slow lift off the bottom. Tom focuses fishing the bloodworm in the shallows where there is some sandy substrate as these are mud-dwelling insects for the large part, only leaving their burrows to forage on algae. In strong wave action on a lake they often become dislodged and, like aquatic snails, can drift freely for long distances. 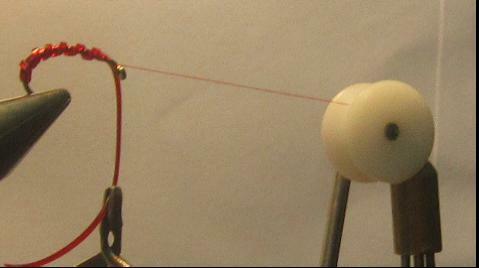 Another reason to fish a shoreline in strong wind with a bloodworm imitation.